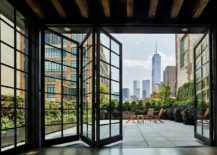 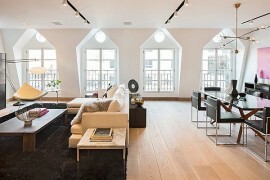 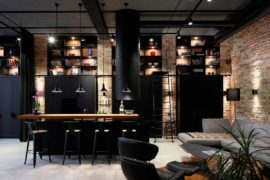 The TriBeCa neighborhood of Lower Manhattan is a happening hub renowned across the globe for its unique flavor when it comes to industrial homes at their revitalized best. 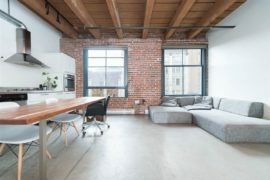 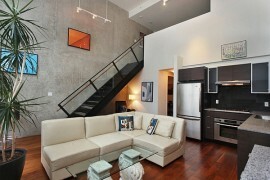 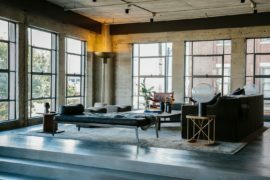 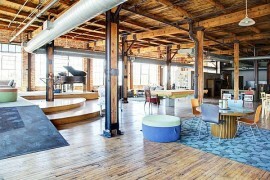 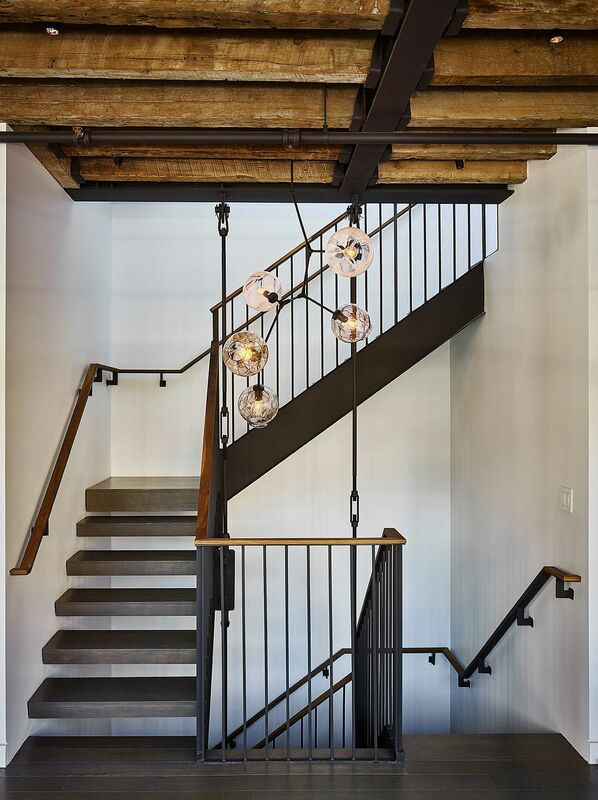 Nestled on Hubert Street, this modern industrial penthouse epitomizes this popular architectural style to perfection as it effortlessly combines its industrial past with contemporary charm. 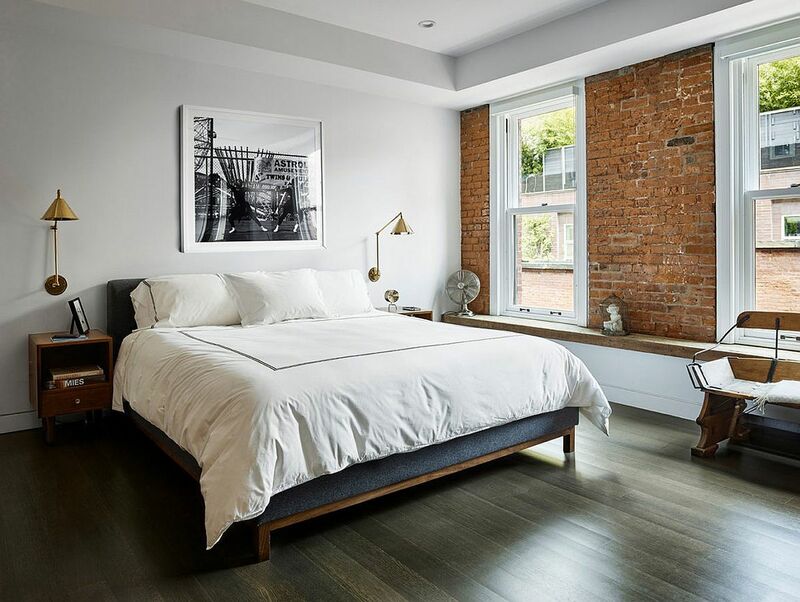 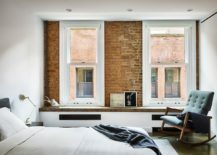 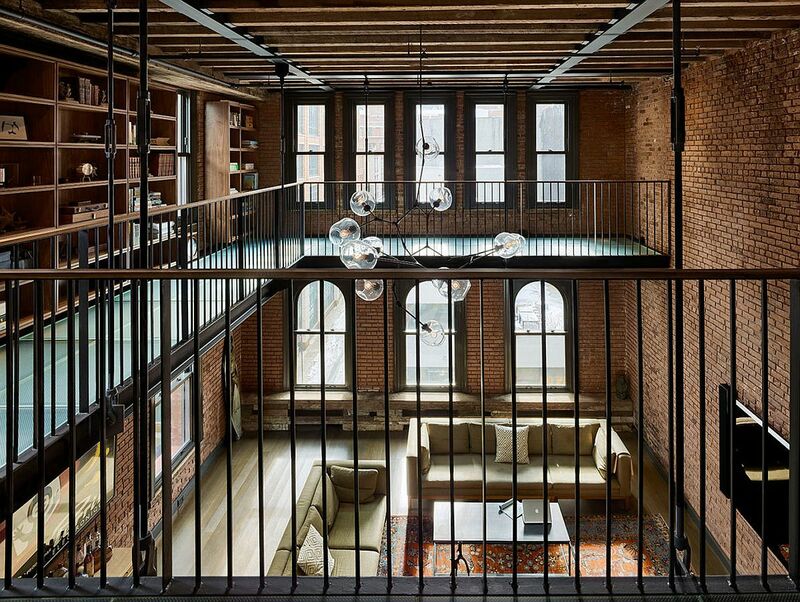 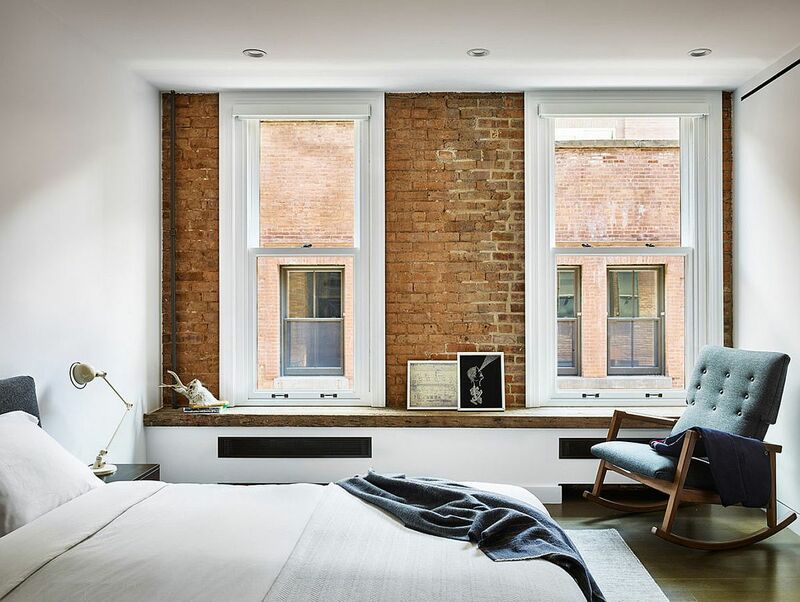 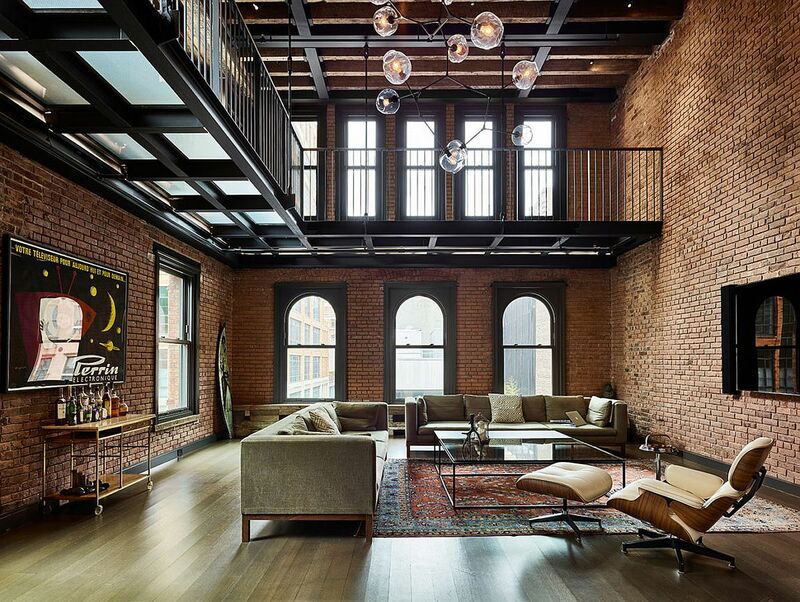 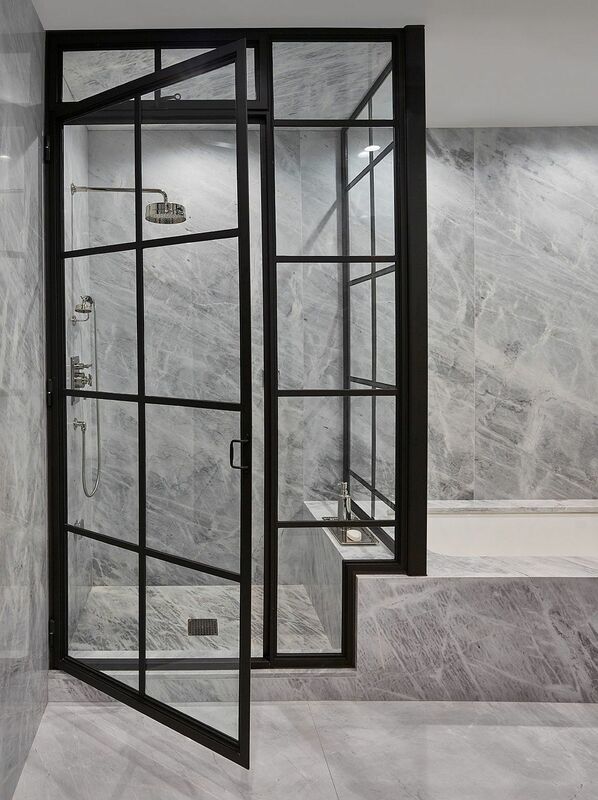 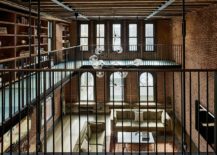 Part of a building that originally dates back to 1892, the revitalized and upgraded penthouse offers the typical TriBeCa experience – brick walls, exposed steel frames, industrial-style windows and an amazing view of New York City’s iconic skyline! 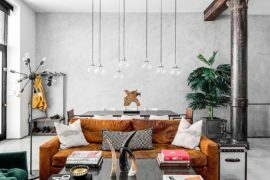 Remodeled to meet the demands of fast-paced, modern day NYC lifestyle by ODA New York, the penthouse ropes you in with its distinctive exposed brick walls and a fabulous gallery level that adds to the beauty of the double-height living area. 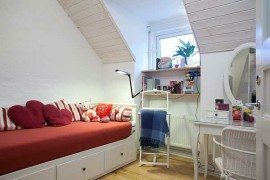 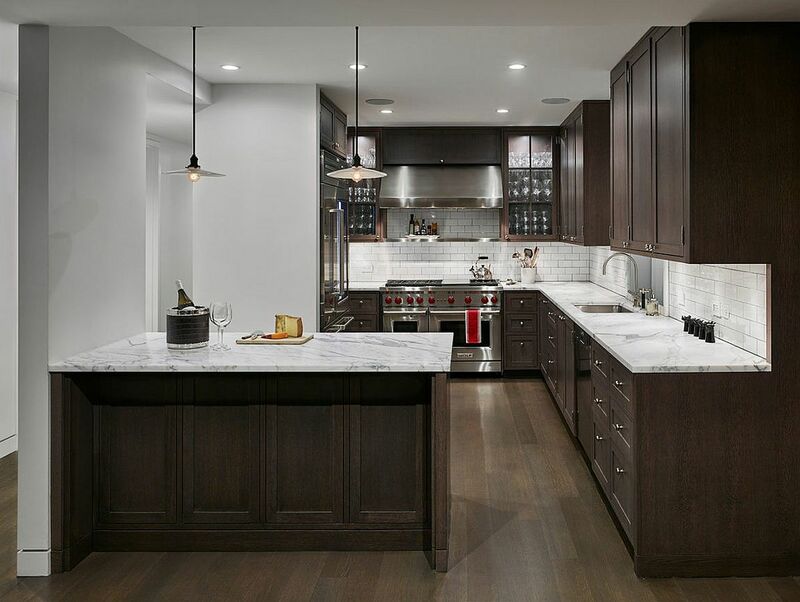 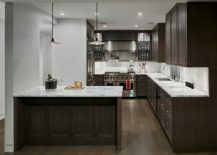 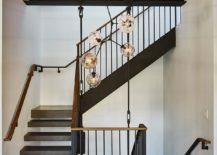 Many of the original building elements were preserved and enhanced during the remodel while more contemporary finishes greet you in the kitchen, bedroom and bathroom. 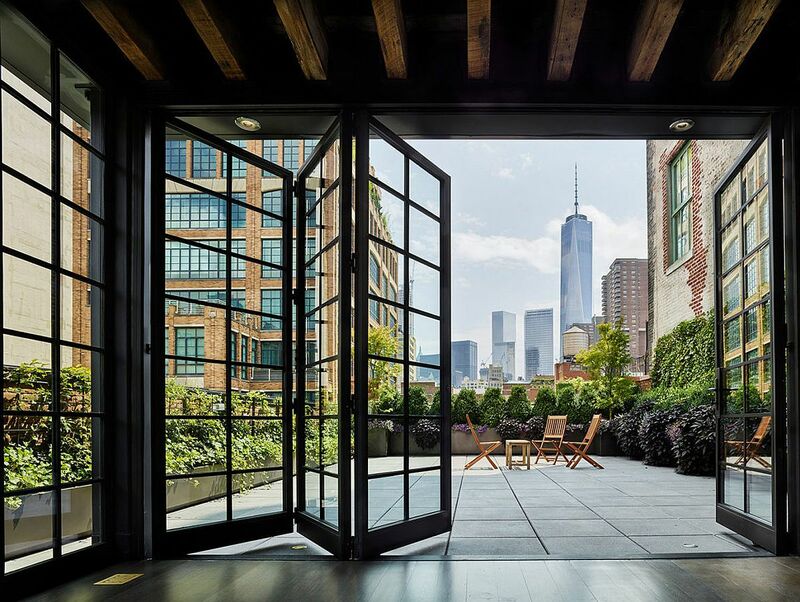 Large windows that connect the terrace with the living area bring the cityscape indoors even as the homeowners enjoy a tranquil, private hangout. 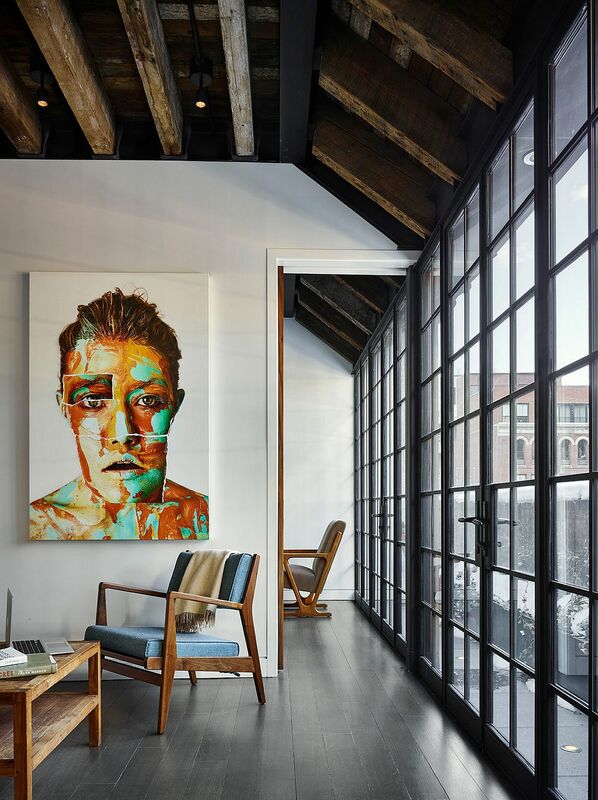 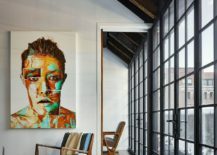 Bold artwork breaks up the monotony of the neutral color palette while abundant natural light ensures there are absolutely no dull corners anywhere. 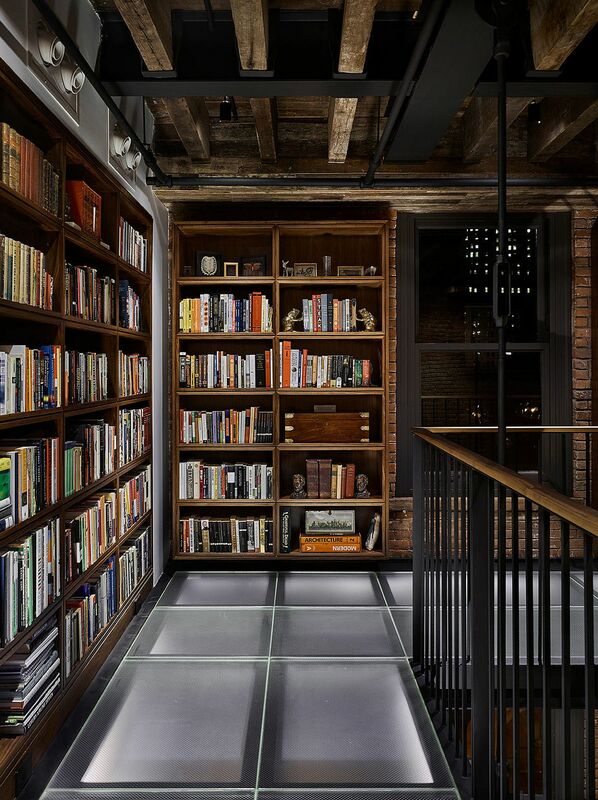 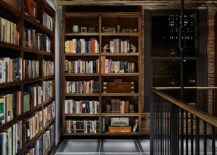 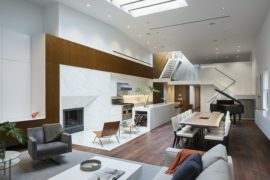 The gallery level with a wonderful home library and beautiful pendant lighting that illuminates the stairwell complete this altered Manhattan penthouse.